Totalling 2.35m2 / 25 sq ft in surface area, an antique French ceramic tile with same size border. 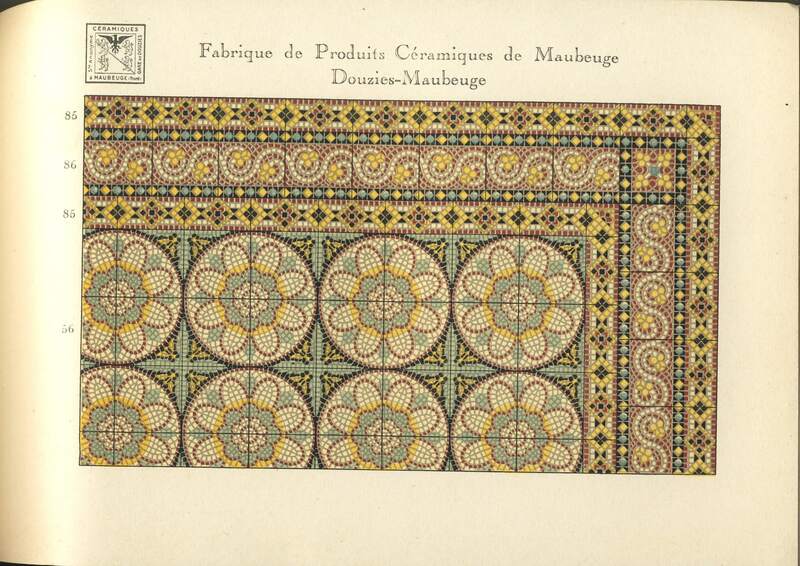 15cm square tiles, mosaic themed and produced by Carrelages de Maubeuge - Douzies Maubeuge c.1920, we incude in the gallery a scan in our possession of the original catalogue presenting the tile. Arrives fully restored and ready to relay, an excellent ceramic with a good slip in a quality 15mm thick tile. *4 linear metres / 13.3 linear feet. If you have any questions regarding our Small antique ceramic mosaic themed floor c.1920, simply complete the short form below and we'll respond to your enquiry as soon as possible.